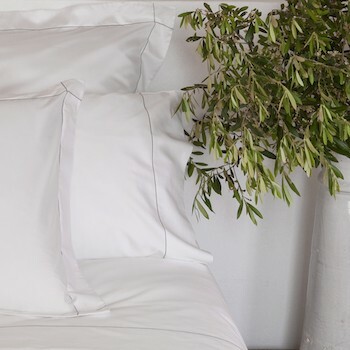 The Tremiti fitted sheet comes in a all white 600 thread count 100% Egyptain cotton sateen. This timeless design is the ultimate in discreet luxe, it drapes beautifully, has an elegant sheen and softens with every wash only improving with age. Our white queen size fitted sheet has elastic around all four sides to stop shifting as well as an extra deep 40cm wall to accommodate all mattress depths including mattress toppers. 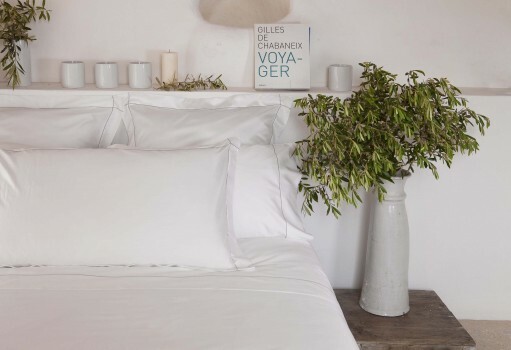 Don’t forget to co-ordinate your queen fitted sheet with the whole Tremiti range by adding our quilt cover, flat sheet and range of pillowcases.